In September 2017, a document was submitted to the National Trust and the Charity Commission (CC). As The Canary previously reported, Meet The National Trust Hunts outlined alleged violent and criminal acts committed by 44 hunts across England and Wales. The document’s author, anti-hunting campaigner Barbara Slaska, said in November 2017 its purpose was to show that licensing hunts puts the National Trust in breach of CC regulations. But a year on, little has changed. The National Trust employed a new trail hunting manager during summer 2018. His role is to enact the charity’s new auditing system. At the time of publishing, 17 hunts are licensed by the National Trust for the 2018/19 season. Many of these are seen in Meet the National Trust Hunts. Slaska told The Canary that the CC rejected her initial complaint and two follow up appeals for not falling within its jurisdiction. But Slaska also believes that powerful links to hunting at the top of the National Trust and CC raise concerns about their ability to take appropriate action. Now a leading expert in charities is involved in the case. And she believes that the National Trust and CC have a case to answer regarding the National Trust’s charitable status. trail hunting activity goes against the [National Trust’s] charitable objects in that the evidence from [International Fund for Animal Welfare] and others shows that it compromises the welfare of wild animals as well as risking breaches of the law. Crucially, through licensing trail hunting, the National Trust falls foul of the public benefit requirements of charities. This is clearly laid out by the CC as beneficial to “the public in general, or a sufficient section of the public”. And that the benefit must be “identifiable and capable of being proved by evidence”. It’s these issues, amongst others, that are exactly what the National Trust falls foul of, according to Quint and Slaska. Slaska’s complaint to the CC is currently in limbo. She says it was sent to the CC’s Risk Assessment Unit several months ago and nothing has happened since. So Slaska’s now approached The Canary with evidence of links between hunting, the National Trust and the CC that raise questions. But Prince Charles’ “personal interest” has also impacted the National Trust’s choices. A 2009 Guardian article, for example, revealed he threatened to withdraw patronage from the charity if it didn’t change the design of its headquarters. Prince Charles is a fan of hunting. In October 2017, the Mail on Sunday revealed he’d pressured Tony Blair to drop the hunting ban. He’s not been seen hunting since the ban came into place but has been seen shooting. He’s also been connected with a number of hunts, including several previously licensed by the National Trust. These include the Meynell and South Staffordshire Hunt (now banned), Blencathra Foxhounds, and the Beaufort Hunt. In news about Prince Charles’ future patronage of the RSPCA, it emerged the animal welfare charity had faced similar pressure. Prince Charles reportedly had “fundamental disagreements” with the RSPCA due to its badger cull opposition and successful 2012 prosecution of the Heythrop Hunt. As a result, his future patronage of the animal welfare charity was “in doubt“. Alastair Martin, Prince Charles’ private secretary, is also a hunter. Until at least 2011, Martin was joint master of the Mendip Farmers’ Hunt. And a 2015 programme for a Royal Artillery Hunt event, at which Martin spoke, says he has “hunted for most of the last 40 years”. In his role as President, The Prince is kept abreast of matters concerning the National Trust. However policy decisions undertaken by the Trust are made by its Board of Trustees and members and are something that he has absolutely no involvement in. William Shawcross was CC chair between September 2012 and December 2017, during the time Slaska’s inital complaint was rejected. Shawcross is personally and financially linked to Prince Charles and the royal family. A 2002 Guardian article, for example, described him as part of a “small circle… who advise the Prince”. An official biography of the queen mother was written by Shawcross. He was also responsible for the “intimate” book and TV series about Queen Elizabeth, Queen and Country. And he’s been friends with Camilla, who married Prince Charles in 2005, since childhood. There are concerns that a clique at the heart of the board has a strong political and ideological stance, with several members having close links to Conservative politicians and right-wing think tanks, and that this has led to a hardline approach to sector policy. [NCVO and Acevo] are worried at the level of power being gathered by this group, and their continued involvement in the day-to-day running of the regulator. While he was CC chair, Shawcross was critical of the RSPCA’s attitude to hunting. Some years after the animal welfare charity’s successful prosecution of the Heythrop Hunt, he slammed the animal welfare organisation for having a “zeal for prosecutions”. He also criticised the RSPCA for its opposition to the badger cull. This ‘gathering of power’ included the appointment of Orlando Fraser as a board member. Fraser once stood for election as an MP in North Devon for the Conservative Party. Fraser was a CC board member between July 2013 and December 2017. His position was controversial from the outset. A lack of charitable experience led to complaints and questions about the reason for his appointment from senior officials within the sector. Standing for election isn’t Fraser’s only link to the Conservatives. He is also a founding fellow of Iain Duncan Smith’s Centre for Social Justice. Fraser chaired the thinktank’s voluntary sector working group for its 2007 report Breakthrough Britain. In 2006, both former prime minister David Cameron and Conservative MP Nicholas Soames were present at Fraser’s wedding. These connections led to serious concerns about neutrality after Fraser’s re-appointment in 2016. It’s also worth noting that Fraser’s wife was a bridesmaid at the wedding of Prince Charles and Diana in 1981. Meanwhile there are direct connections to hunting. In 2004, the North Devon Journal said Fraser accompanied Cameron to the Exmoor Foxhounds Horse Show to “do some manifesto brainstorming” for the Conservative Party. And later the same year Fraser wrote a letter to the North Devon Journal describing the Hunting Act as “poisonous”. In 2005, during his campaign for election as MP, Fraser apparently went out riding with the Eggesford Hunt. Soames has a long history with the National Trust. In 2000, the MP headed up an attempt to increase pro-hunt influence within the National Trust following the charity’s ban on stag hunting. This bid to have him elected to the National Trust council failed. A second attempt was made in 2002. 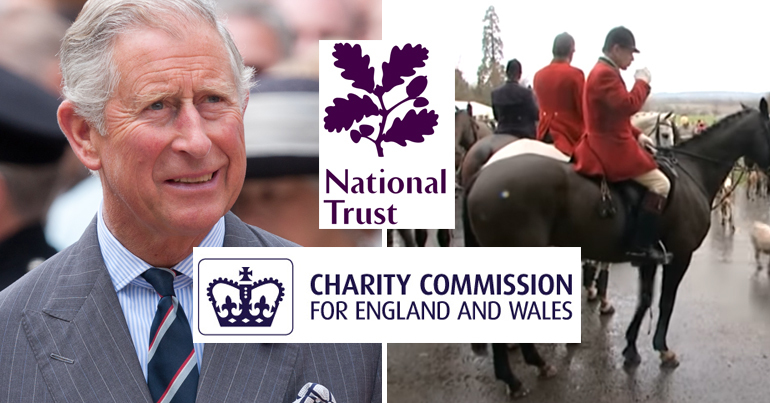 At the time allegations were made that the pro-hunt message was an attempt to “woo” Prince Charles to the charity. This bid succeeded, though Soames at the time said he was not a “front for a hunt”. The MP for Mid-Sussex also has direct involvement with hunting. 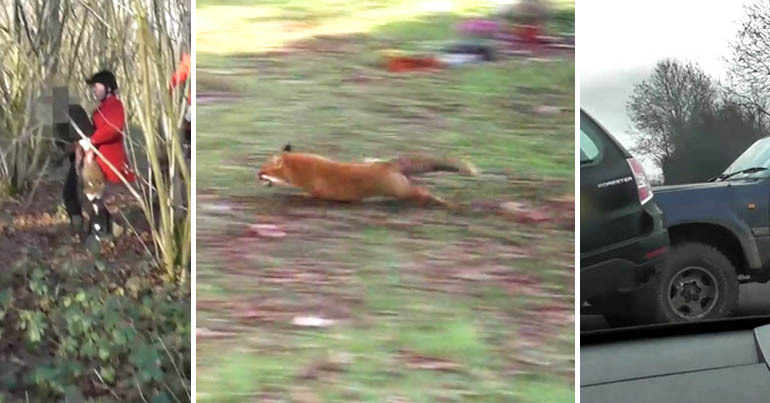 He was caught by hunt saboteurs at a 2008 New Year’s Day meet of the Crawley and Horsham Hunt, for example. 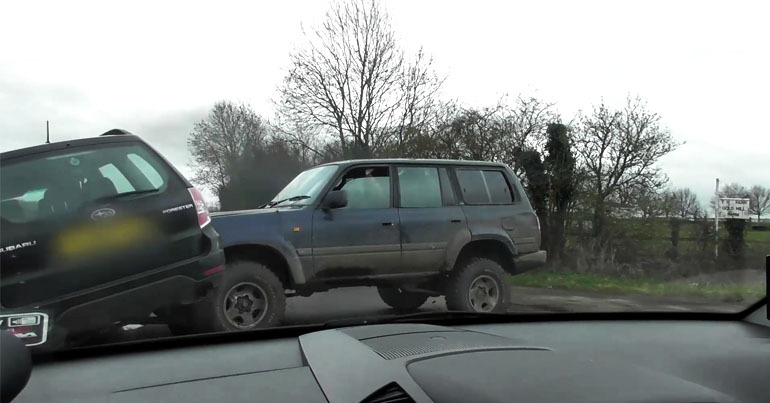 Camera footage showed him driving a quad bike on a public road without insurance. As a result, he was banned from driving for two months and fined. Soames also has close connections to Shawcross, Fraser and the Royal Family. In 2008 the Telegraph described Soames as being part of Prince Charles’ “inner circle”. The MP was even part of the inquiry into Princess Diana’s death. Prince Charles and Camilla attended Soames’ mother’s funeral in 2014, an event that also saw a public address by Shawcross. Fraser’s wife Clementine is also Soames’ niece. The Commission is an evidence and risk-based regulator. Decisions are made by expert caseworkers using the evidence and information available, in line with our regulatory and risk framework. Published records of our casework show robust, effective decision-making that is free from bias. The Commission takes its duties as a regulator, and in relation to decision-making, seriously. 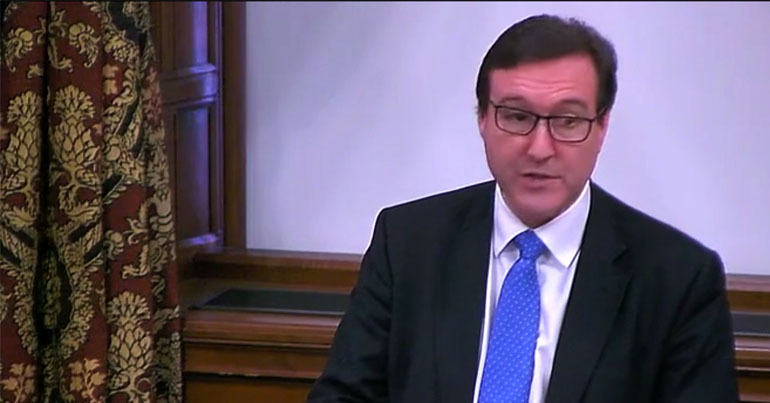 … There are occasions when the Commission may not be able to take up a complaint at all, even if we recognise issues may be of public interest. Decisions on individual cases are made by the relevant operational staff, not senior officials. … we did not identify any regulatory issues which would warrant the Commission’s intervention. Where do the links point to? The evidence Slaska has presented to The Canary shows clear and overlapping links between the National Trust, CC and pro-hunting interests. These can’t be ignored. They raise concerns about what factors could impact on decisions made at the highest levels of our public bodies. And they bring up questions about the influence that the deeply rooted hunting community has. Anti-hunt campaigners claim trail hunting exploits loopholes in the law and enables the hunting of wildlife. A wealth of evidence, including the 2015 report Trail of Lies, back this up. The National Trust is, therefore, according to anti-hunt campaigners, permitting an activity that anti-hunt campaigners say is a cover for illegal activity. Despite this, the CC says Slaska’s allegations are not within its remit. The hunting lobby is powerful. Evidence presented in this article only scratches the surface. But public opinion is overwhelmingly against the bloodsport. And, as a charity serving the public interest, the National Trust must be held to account for its mind-boggling stance. The Canary contacted all named individuals and organisations for comment but received no reply other than the responses in the piece. Check out National Dis-Trust for more information about hunting on the charity’s land. Check out Hounds Off’s blog for more details about hunting and the National Trust. Read more about hunting and wildlife crime at The Canary.